If you could save a life, would you do it? I’m not talking about dashing into a burning building, or jumping in front of a speeding train. The help you can give starts right here, right now. Each year, more than 130,000 people are diagnosed with a blood-related disease. Leukemia will strike 44,000 Americans this year, including 3,500 children. It will kill about half of the adults and about 700 of the children. Those are scary statistics to hear, especially if you get an unexpected diagnosis like I did. There are some simple things that all of us to can to help improve these numbers. In my case, I was healthy, until I wasn’t. I have always been diligent about seeing my doctor for annual check-ups. 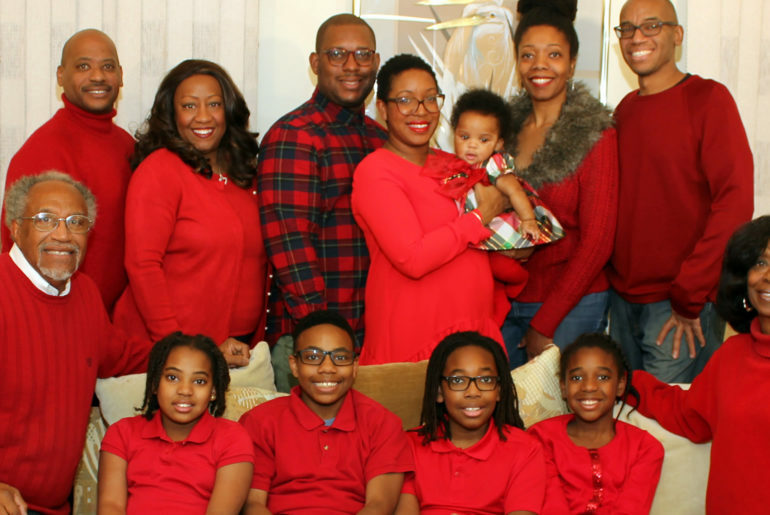 When I received my cancer diagnosis, right before Christmas 2015, it came as a shock. I had no history of cancer in my family. In the preceding months, I had experienced a series of seemingly minor ailments – sneezing, colds that wouldn’t go away, neck and back pains, and I was tired much of the time. The doctors that I saw at the time attributed my symptoms to allergies, asthma, aging and working too hard. On December 15, 2015, I was still feeling bad, and scheduled a same-day appointment with a different doctor at a different medical center. I ran a number of tests, but most importantly he ran a complete blood count (CBC). I received a call that evening from the doctor telling me that my bloodwork was not normal, and that I was being referred to an oncologist. As a husband and parent, getting the diagnosis on December 16, 2015 was the scariest thing I have ever experienced. I was told that I would need to be admitted immediately, with my initial inpatient treatment lasting a month. I was also told that I would be unable to work for about a year. 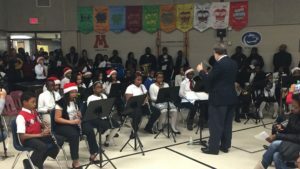 This of all occurred the day of my son’s sixth grade Winter concert. I had to hold myself together that day, and after the concert I broke the news of my diagnosis to my wife, my children and my parents. I still had no understanding of what to expect. Was I going to die? Would I live to see my children grow up? Get married? On December 17, 2015, I was admitted to Henry Ford Hospital. During the months that followed, I had three rounds of chemotherapy and a stem cell transplant. I spent a total of 66 days in the hospital, including Christmas, New Year’s Day, Valentine’s Day, Easter, and Mother’s Day. I was unable to work for almost 15 months. I could not drive, and I could not go to public places like malls or office buildings. I followed the recovery plan of my oncologists, and today I am back to work, fully active, and remain cancer-free! For all that was done for me, it’s my turn to give back. I was given a second chance at life, thanks to organizations like Blue Cross Blue Shield of Michigan, Henry Ford Hospital, The Leukemia & Lymphoma Society, The National Marrow Donor Program, and the support of countless family members, church members, co-workers and friends. 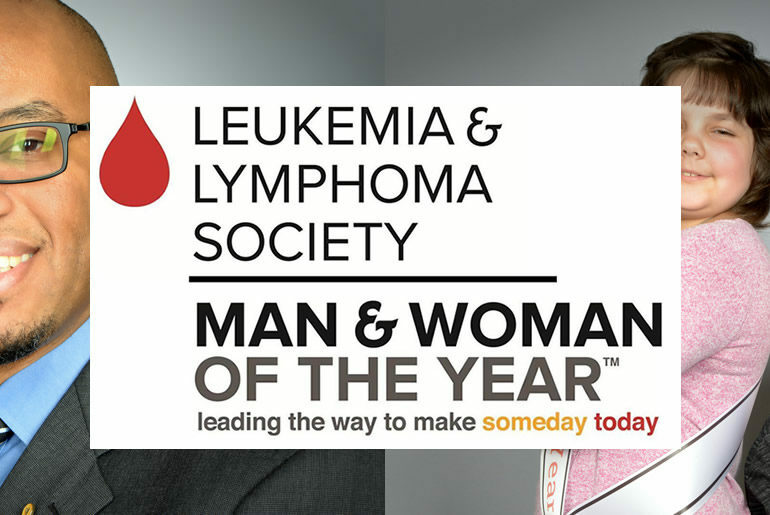 I was recently nominated as a candidate in The Leukemia & Lymphoma Society Man of the Year campaign. The Leukemia & Lymphoma Society (LLS), is the largest voluntary health organization dedicated to funding research, finding cures and ensuring access to treatments for blood cancer patients. Since 1949 LLS has been on the forefront of blood cancer advances such as chemotherapies and stem cell transplantation, leading the way to the targeted therapies and immunotherapies that are saving thousands of lives today. 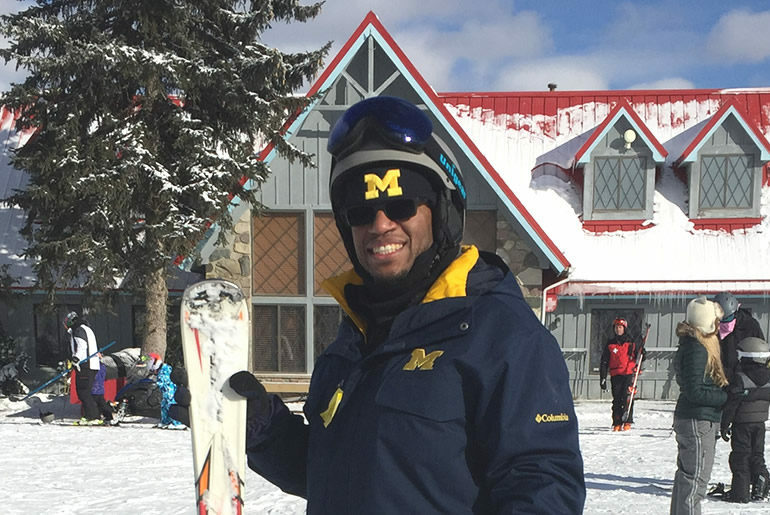 Right here in Michigan, there are currently 11 research projects being funded by LLS at the University of Michigan with a total investment last year of $7.4 million. 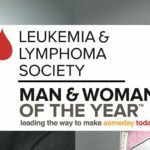 The Man and Woman of the Year campaign is a 10-week philanthropic competition held in honor of two local children who are blood cancer survivors. The 2018 Boy of the Year is Bradley Moore. He is 5 years old, diagnosed at age 4 months with Juvenile Myelomonocytic Leukemia. Elyse Wickenheiser is the 2018 Girl of the Year. She is 9 years old, diagnosed with Acute Lymphoblastic Leukemia on her 8th birthday. Both received treatment at C.S. Mott Children’s Hospital at the University of Michigan, and both are thriving today and enjoying childhood. I was introduced to the good work of LLS by a friend of mine, Rodney Ross. 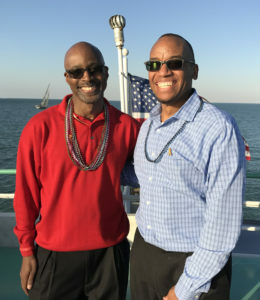 Rodney and I met in Henry Ford Hospital in December 2015 while I was undergoing my first round of chemotherapy (induction) and he was preparing for his stem cell transplant. We came to learn that Rodney and I both worked for the same company, Blue Cross Blue Shield of Michigan. It also turned out that our wives are members of the same sorority, Alpha Kappa Alpha Sorority, Inc., and had known each other for years. Our paths had never crossed at work. Our wives made the connection, and we formed a friendship during our walks and talks in the hospital. The inspiration and support that he provided to me was an important part of my recovery process. A year after his treatment and recovery, Rodney become a candidate for the 2017 Man of the Year campaign. His team raised more than $58,000 to fund blood cancer research. During the campaign, I was encouraged by Rodney and representatives of the Michigan Chapter of The Leukemia & Lymphoma Society to join this year’s campaign. I am very much an introvert, and joining a campaign like this is outside of my comfort zone. That being said, I accepted the challenge and plan to give it my all, in support of this great cause. With the help of a dedicated team of friends and family – we call ourselves “Team Valiant” – we have a goal to raise at least $50,000 for blood cancer research and patient/Family support. You can help save lives by making a tax-deductible donation to LLS. Another important part of my give-back mission is sharing the importance of bone marrow and stem cell donation with others. I am alive today because of the generosity of an unrelated donor. Each year, 14,000 patients need a bone marrow transplant from an unrelated donor, and only half can find one. The right match can save the life of someone suffering from a blood-related illness such as leukemia, lymphoma and sickle cell disease, and a transplant is often a patient’s last chance for survival. While donations from all ethnic groups are critical, there is a specific need for African-American donors. Seventy percent of patients can’t find a match within their family and are forced to turn to the National Bone Marrow Registry to find an unrelated donor. 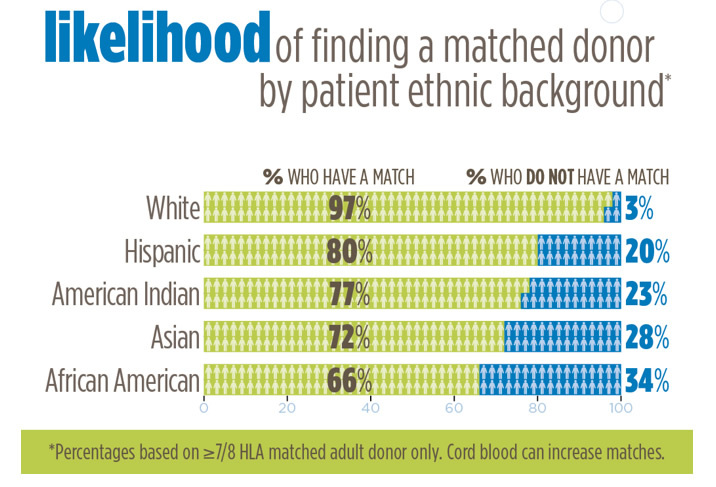 When a Caucasian patient turns to the registry, they have a 93% chance of finding a match. When an African-American patient turns to the registry, however, they only have a 66% chance of finding a partially matched donor. 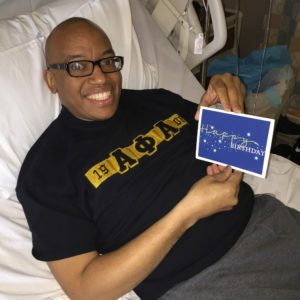 Currently, only 7% of the registry is comprised of potential African-American bone marrow donors. Be The Match is an initiative of the National Marrow Donor Program. They are actively seeking donors 18-44 of all ethnicities, but they are especially seeking members of under-represented groups to increase the diversity of the registry. A website called HeritageHoldstheCure.org was set up to help debunk the myths about donating, such as how it works, if donating is going to hurt, the associated costs, and how long it takes. While the donor and recipient are not required to share ancestry, a person’s best chance of finding a donor may be with someone of the same ethnic background. I am alive today because a 23-year-old from Houston, TX decided to join the registry. He joined in support his mother’s friend, who was diagnosed with Atypical Acute Myeloid Leukemia. Although he wasn’t a match for her, he turned out to be a perfect match for me. Like me, his mom’s friend found a match and is in remission, but not all patients have the outcomes we did. 2,500 patients die each year waiting to find a match. If you join the registry, there is only a 1 in 430 chance that you will be asked to donate, but if you are a match, you can save someone’s life. For 80% of African-Americans who do find a match, their match is the only one on available on the Registry. We welcome you to help save lives by joining the Be The Match registry and donating to The Leukemia & Lymphoma Man of the Year campaign. Now through June 2, 2018, every dollar raised through the campaign goes toward efforts to fund research that saves lives and impacts all affected by blood related cancers. Visit my fundraising page at http://pages.mwoy.org/mi/detroit18/bwilliams to donate or to learn more about this great cause.